As an early adopter of digital imaging, I have had the opportunity to explore and write about the transition from film to digital. It’s been an impressive technological march. In 2000, I wrote and illustrated a story for Lexar Media on the possibilities of simulating the look of Infrared film images using digital cameras. That article and the use of a variety of infrared filters is posted on this site under TIPS. At the time, I concluded that it was a lot of work for a pretty interesting result but not particularly predictable. “Predictable” is a key word in professional photography as you are promising your clients that you will deliver. 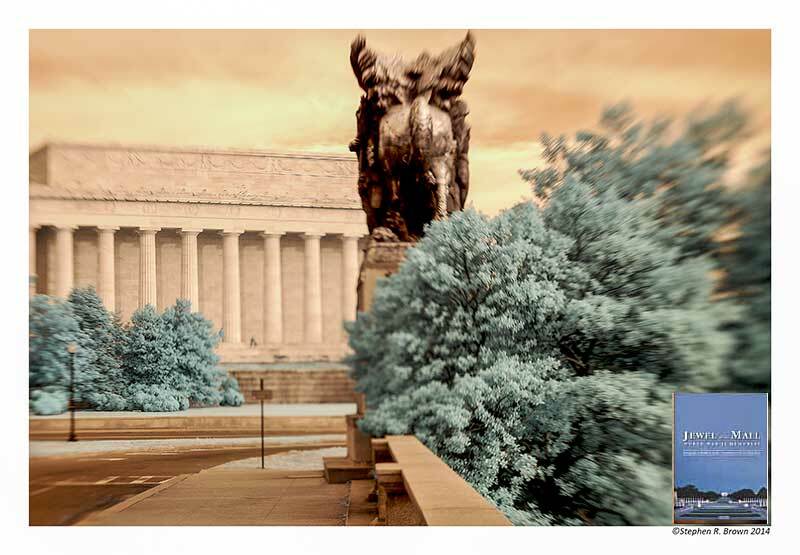 So I recently acquired a Nikon D40x which I had converted to infrared imaging by Lifepixel.com. 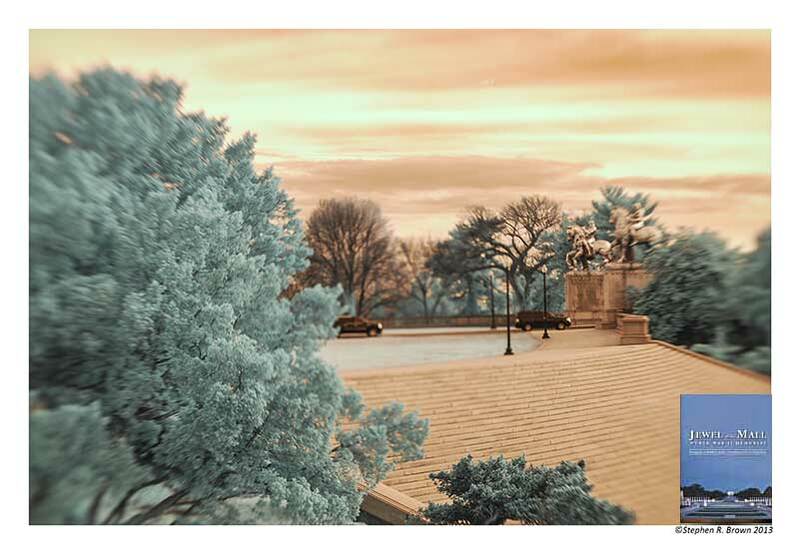 It’s predictable and cool and compared to the earlier “filter technique” easy to use. I am not a physicist but Infrared Photography is photography using light in the invisible spectrum of the Electro Magnetic Spectrum so I am lead to believe that Infrared photography is stimulating the film or in the case of digital, the sensor, by recording the energy it emanates. That energy is supposedly not visible to the human eye so…and this is where I get confused…., you can make pictures of it? Anyway, lets leave the physics and get on to the rectangles. January 19, 2014 | Filed under Blogs, Books, DC Photo Book, Photography and tagged with DC PHOTO BOOK, Honor Flight, Mall, National Park, National Park Service, photography, Travel, World War II Memorial.